If Tom Hanson, owner of the Duluth Grill, were the CEO of a large corporation he’d be fired. His chief failure to the suits would be his indifference to the goal of extracting and concentrating wealth at the top. Tom says, “I prefer to do things the hard way.” This was his response to my quizzical look upon hearing that he is doing his own demolition work inside the building that will become his next restaurant in Lincoln Park (a rough part of town but now showing signs of rebound): OMC Smokehouse. That’s short for Oink, Moo, Cluck. His path to “success” wasn’t easy. With no college education he cut his teeth by working for the Ground Round prior to launching out on his own with very little cash and lots of debt. He remains approachable, down-to-earth, and is the opposite of what one might expect of the owner of a business grossing over $100K in sales per week. Most cities put a premium on making life easy; cities like Duluth put a premium on making life interesting. It’s not for everyone; it will never be an American standard. But I think a lot of people are looking for that. His own profits seem to be an afterthought, almost accidental. 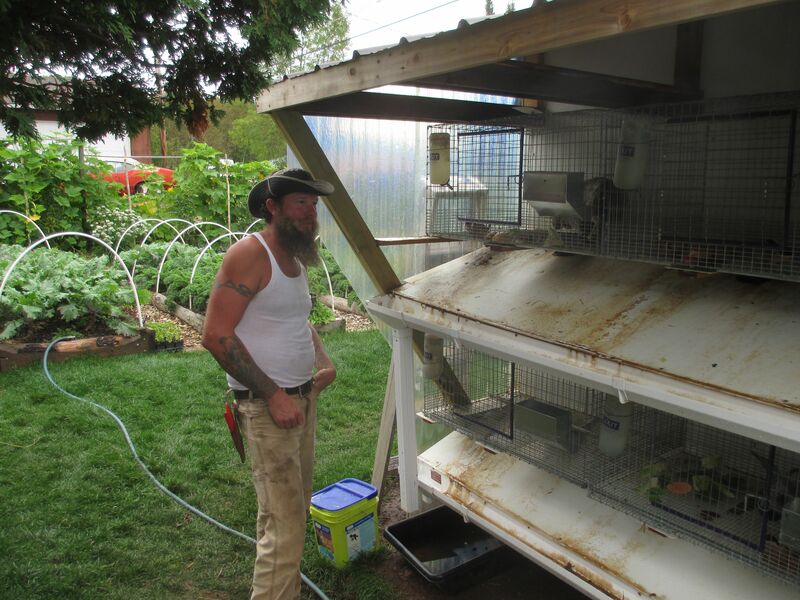 He chooses to keep things interesting, sustainable, local, and community-based. This average-sized diner employs a whopping 120 people. Hanson could easily heap more work on his employees, increase stress and turnover, and keep more of the profits for himself. Worker pay is well above average in the industry. Twelve managers earn healthy salaries while working reasonable hours and having actual lives, and this includes a farm manager. This is unheard of for a restaurant of this size! Having done time in food service, I spot unhappiness and stress immediately. The atmosphere at the Grill is the complete opposite. Workers are fulfilled, happy, and proud to work there. During a busy lunch rush I encountered employees across the hierarchy. Even the dishwasher had an immense smile. 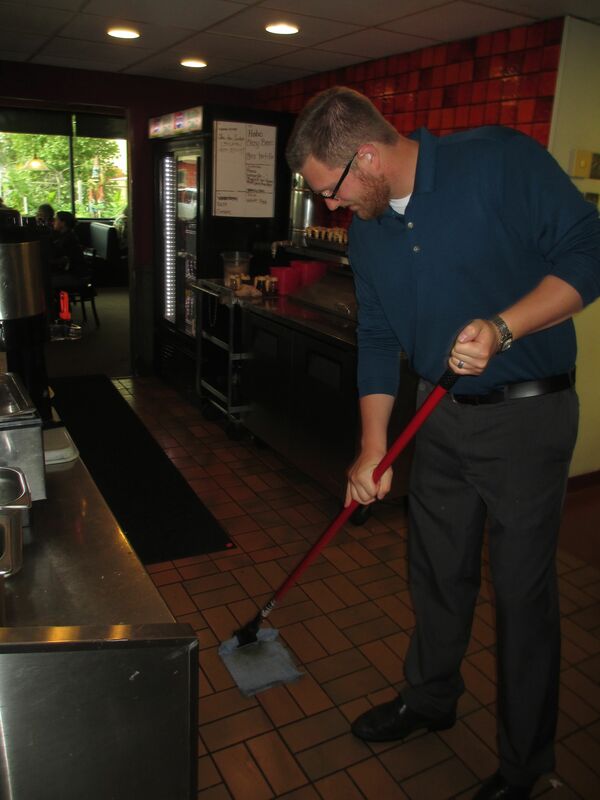 At other establishments they tend to feel overworked, unappreciated, under-paid. Meanwhile, Tom lives in a small home in Lincoln Park. He could be living high off the hog if he chose to. 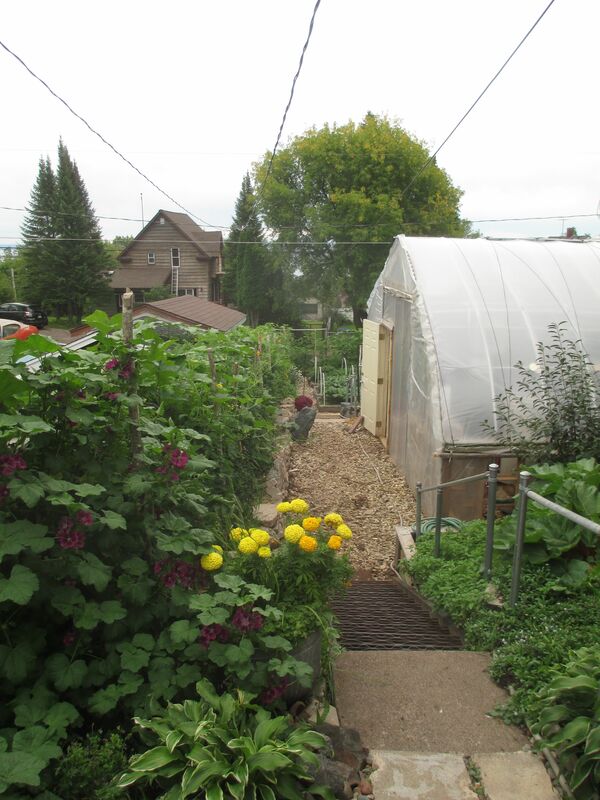 His yard—a bona fide urban farm—is ridiculous for the unbelievable productivity coming out of a small city lot AND paradoxically for how little financial sense it makes. Not only did he blast his driveway to smithereens to create space for gardens and a walking path, he has employed multiple gardeners. Indulging and delighting in the obsessions of his extremely talented crew can’t be cheap. 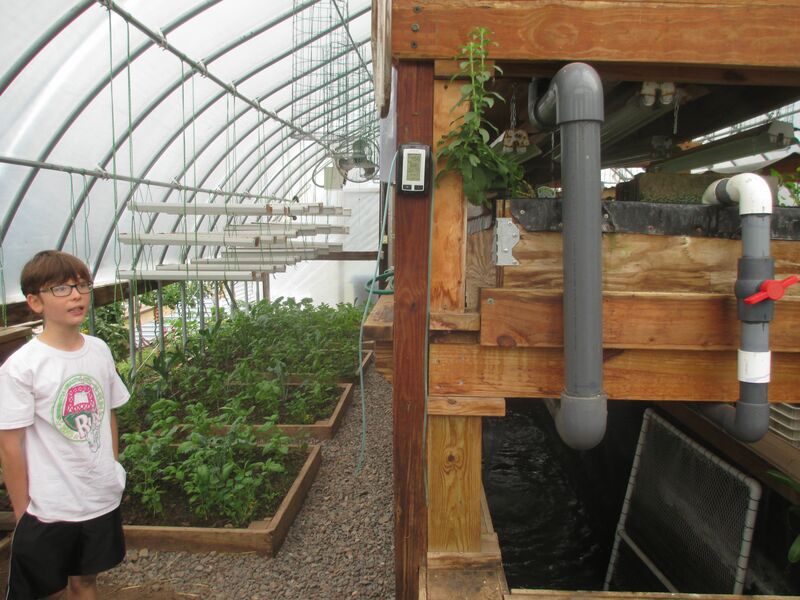 A commercial-sized aquaponics system perhaps 25 feet long graces the inside of the greenhouse. A solar array outside passively heats the water within a complicated circulation system. Soon it will be filled with hundreds of growing pacu fish, which may make it onto the menu eventually. 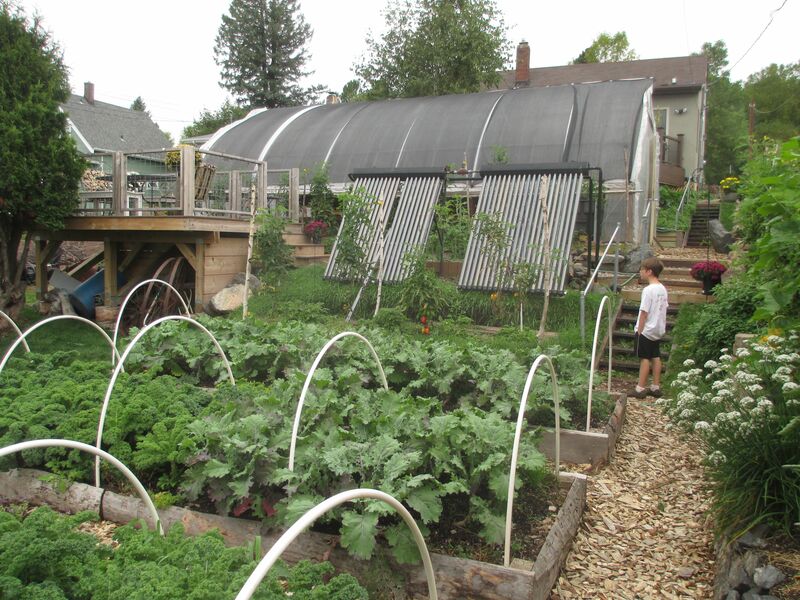 The remaining space outside is maximized with lush beds of vegetables and even a rabbit hutch. Vegetable scraps from the restaurant and gardens are fed to the bunnies, which convert feed into meat very efficiently. Rabbits reproduce so rapidly that a single pair can produce 50% more meat in a year than an average-sized year-old beef steer. Farm-to-table sustainability is being taken to new heights. 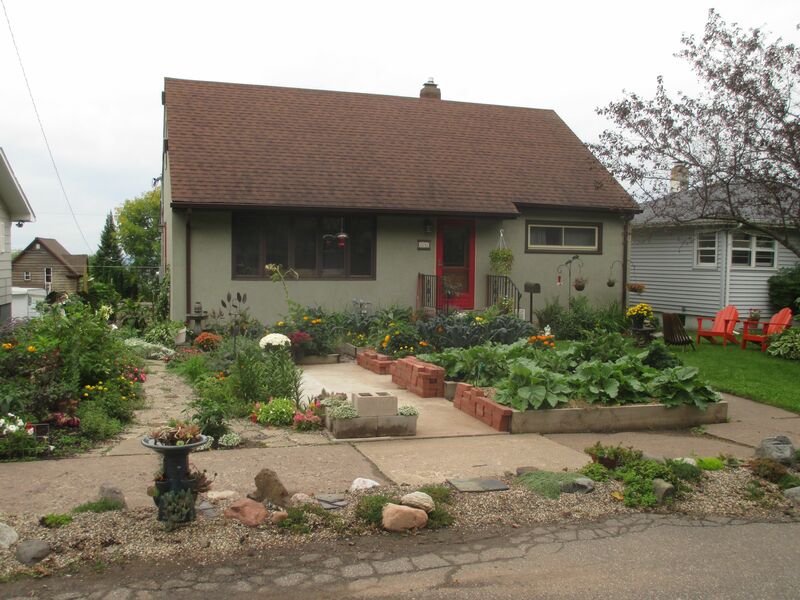 Having dreams larger than available space, Hanson purchased the neighboring home. 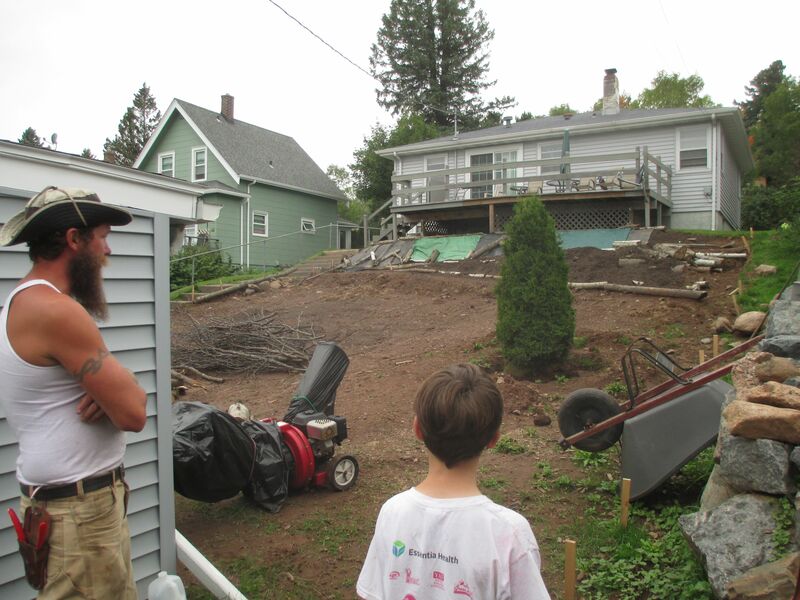 The prized lawn space is being overhauled for the sake of more crops, which will be cultivated within innovative hugelkultur beds, while his parents have taken up residence within the house. Most surprising, considering the relatively steep hill, is that the new gardens will be 100% handicapped accessible. 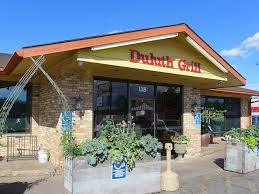 The Duluth Grill employs a botanist who works from a wheelchair. Due to Tom and company’s passion for fresh and local, they have created a logistical challenge by having over 100 vendors. While we spoke, Tom personally signed a check paying the local farmer that produces their pickles. One delivery from a semi-truck would be so much more efficient! This is a small array of examples that would serve as an indictment for larger businesses obsessed with efficiency. Not only does he make a profit, these projects inspire an entire city. Mixed lovingly, these ingredients create utter deliciousness. ****Due to space, I was unable to get into the serious challenges Tom has faced over the years: a partnership that went bad and that nearly forced the closure of the restaurant due to large amounts of debt and taxes not paid by the partners that had a 51% stake in the place, the mortgage that almost fell through that enabled him to buy the property but was saved at the last minute by a waitress on his team who loaned him enough for the down payment on the last possible day, credit card loans to get through payroll, and on and on. 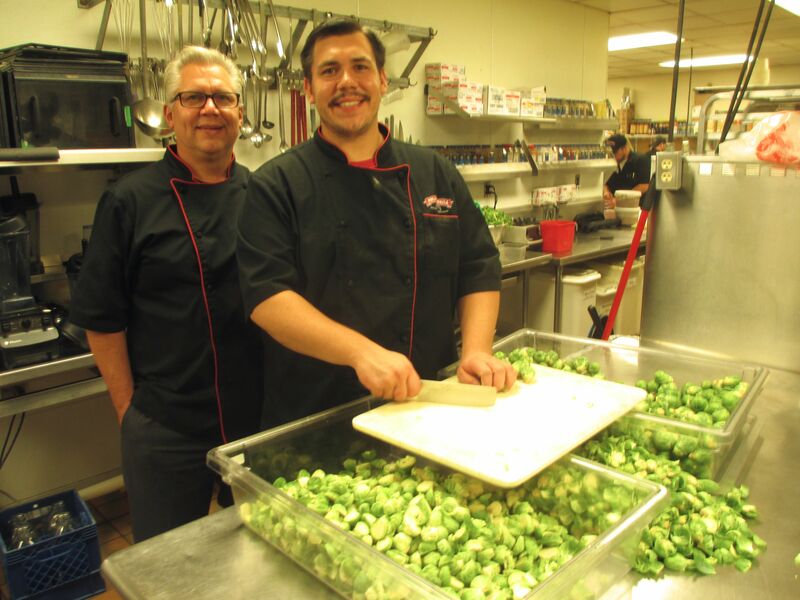 Challenges today are taken with a healthy dose of humor, such as when the Grill received 500 extra pounds of green peppers from the university’s sustainable farming program. Rather than get frustrated, Tom treated the experience as an opportunity to get creative. 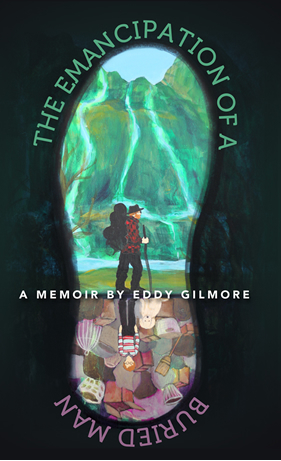 His story is a remarkable example of perseverance, and of the benefits of surrounding yourself with gifted people who have the freedom to flourish. We’ve barely scratched the surface, but this is already too much goodness to take in through only one helping! I love that front garden and back yard. I can see why your son was enthralled. Great story! !